How to help children overcome their fear of the water. Have you ever had a student who cried or was so fearful that he/she wouldn't get in the water? Has your own child ever expressed that he/she was scared and you weren't sure what you should do? Would you like to see those tears turn into cheers? Then you don't want to miss out on the Swim Professor's secrets! In "From Tears to Cheers," you will learn how to help children overcome their fears. In this information-packed, 30-minute audio program, Jim Reiser, the Swim Professor, will share with you everything you need to know. These techniques have been tested and tried over and over--earning almost a 100% success rate! 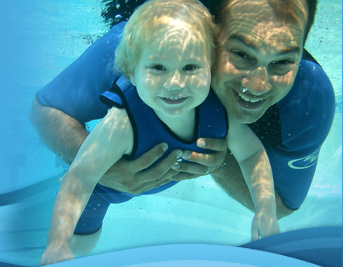 Because no child deserves a stressful, traumatic introduction to the water-you too want to hear these secrets. 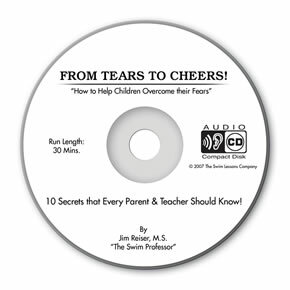 Order your "From Tears to Cheers" audio program today!